Buying a car is a huge purchase, so you want to make sure you're getting the very best deal possible. When you're convinced that a used car makes the most sense (after all, the value of new car shrinks significantly once you drive off the lot), keep your savvy spending streak alive even further by making your purchase only during certain times of the year. Most people decide to purchase used cars right after they get their tax refund. That big check is hard to resist; without fail, every year, drivers bring it straight to their nearest dealership. More buyers means the prices go up, and you’re less likely to get a good deal on the models you’re considering. Instead, try to time your car shopping during the late summer, fall, or winter months, when the dealerships will have hit a lull and will be more likely to negotiate a better price with you. Once the spring car shopping rush ends, deals on used cars tend to heat up with the weather. Data shows that dealerships have a history of being the most willing to drop prices on cars during the late summer months, which means you have the opportunity to get a great deal. Discounts can be 10% or more off the original posted price. That’s a big chunk of savings on one of the largest purchases you’ll make in your lifetime. These months are usually a little slower for dealers, so they’re willing to offer cars for lower prices in order to make some sales. Make sure to do your research, and you can prove to the salesperson that you won’t settle for a high price on the car you want. Look for discounts in the 5-10% range. Even if you’re not planning on buying a new car, you should pay attention to when new models enter the market. Dealers need to make space for the newer cars they can sell for higher prices, so they’ll be open to lower prices for the aging models just to get them off the lot. 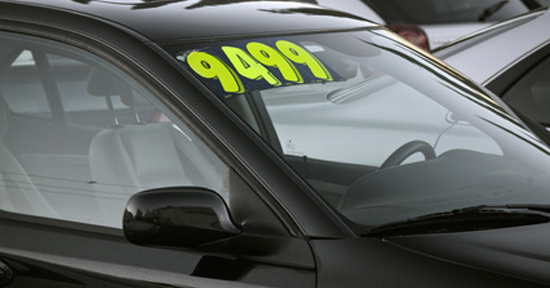 Bonus Tip: If you’re interested in a particular used car but aren’t in a rush to buy, spend some time watching it to see if the dealership lowers the price. 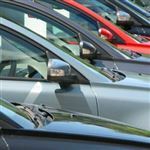 Dealers generally don’t want cars sitting on their lots for more than 60-90 days, and as that deadline approaches, you’re very likely to see the price continually drop – usually by about 5% each time. At the very least, you’ll be in a great bargaining position when you finally go in to negotiate a price - you’ll know the dealership has much more incentive to cut a deal than if you had bought it on day one. Weekends are always the busiest time for dealerships. That’s when salespeople are more likely to make big sales, in terms of price and volume. If you shop during the middle of the week, especially if the salesperson didn’t have a productive Saturday or Sunday, you could get some dollars off in your favor and you’re more likely to get some individualized attention. To earn bonuses, salespeople need to meet monthly quotas. A nervous salesperson toward the end of the month is one who is more willing to give you a discounted set of keys, just to check off one more sale. His low performance for the month is your reward – if you time your dealership visit right. 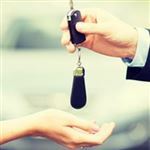 While some experts suggest shopping at the end of the day (since dealers might close a sale just so they can head home), there are also benefits to hitting the dealerships at the very beginning of the day. Some salespeople simply want to make a sale – it’s a great way for them to start the day, with a sale already under their belt! So, do your research ahead of time, and then start negotiating when you arrive first thing in the morning. It’s rather uncommon for people to buy a used car during the holidays. Most customers are overwhelmed with Christmas shopping and simply don’t have the cash available to make a big purchase. That means it’s the perfect time for you to hit up dealerships to find low prices. Unless a particular dealership is offering a huge year-end sale, it usually just wants customers to purchase a vehicle (which means you’re more likely to negotiate a lower price!). You should be able to get a discount of at least 5% off the posted price this time of year. Leave a comment about Best Time to Buy a Used Car? 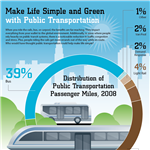 Share on Facebook "Best Time to Buy a Used Car"